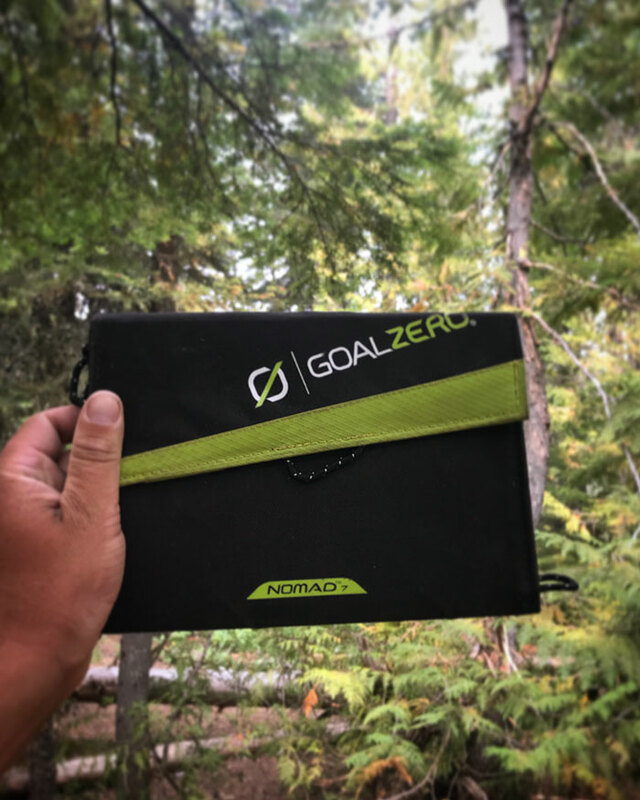 I've owned the Goal Zero Nomad 7 for a little over two years. In those two years, I have put it to use and it always delivers with flying colors. I initially bought it leading into a 500-mile paddleboarding trip down the Mississippi. This solar panel served as my only source of power for three weeks and it never caused me any issues. You will need to set up your own system for how you manage your power bank. I'll share with you mine. When I first bought the Nomad 7 I mistakenly took it as its own power bank. I left it out in the sun all day thinking it was building up some juice and later plugged my phone into the built-in USB port, nothing happened. I learned quickly that the Nomad 7 is in fact not a power bank, but a power source to charge up other devices directly while in the sun. So, let my mistake serve as a bridge to gap a potential mishap for you. The next day I dialed in my strategy. I have a couple of smaller USB power banks that fit perfectly into the mesh bag on the back side of the Nomad 7. 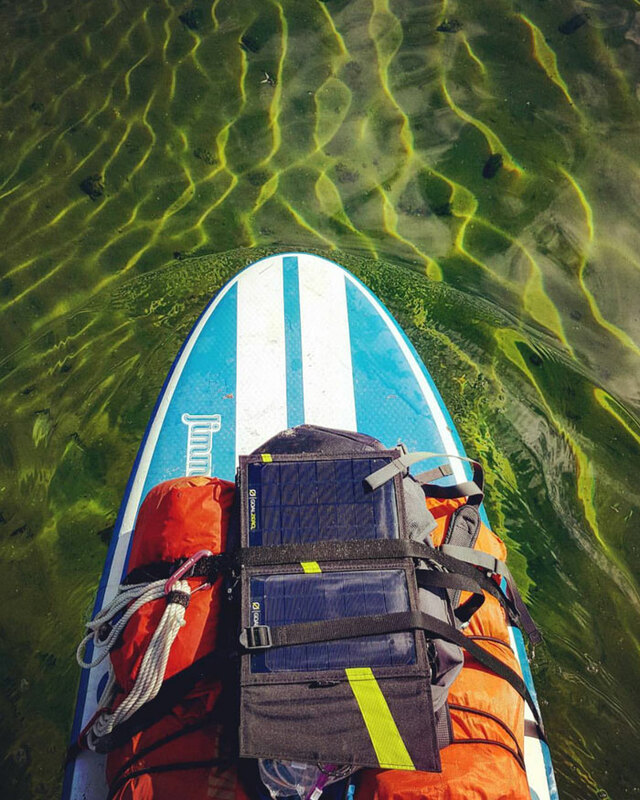 Every morning on this paddling trip I would strap the solar charger to the front of my board with one of my power banks plugged into the back. When I got to camp later that day the power bank was full and allowed me to plug my phone into the power bank. This worked like a charm every day. If I got to camp early I would lean the Nomad 7 against a stump facing the sun to allow for some extra juice out of that day. So, this really breaks down into a two-tiered system. Nomad 7 charges a power bank, power bank charges my phone. I did try to plug my phone directly into the Nomad 7 but found that it was able to charge a power bank faster than charging my phone directly. Using the power bank as a middleman proved to be more efficient. This system proved itself for three weeks straight and has thus carried on for the previous two years of owning this solar panel. When it comes to the solar charger itself it is the perfect companion for your outdoor activities. 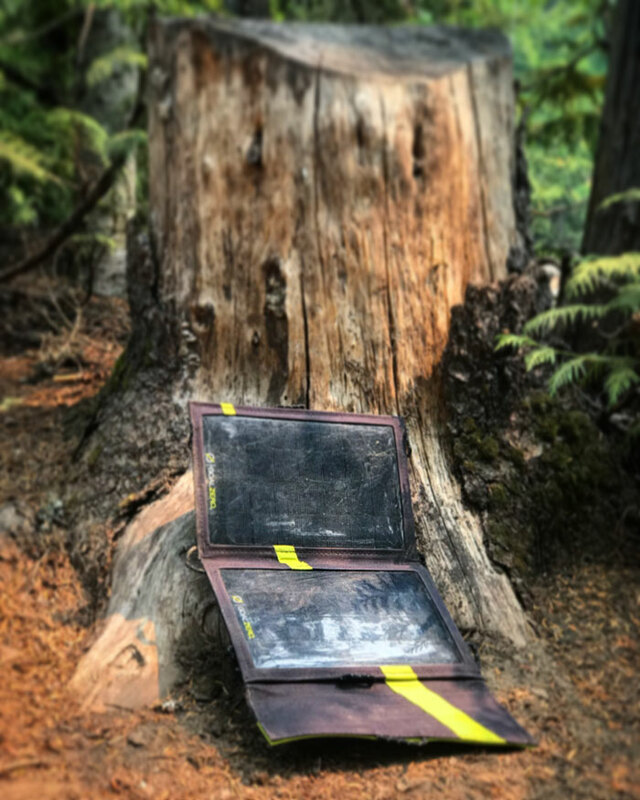 It folds up to the size of a small book with an extremely durable exterior and a magnetic flap that keeps it together (it has never unfolded on me while in my pack). When it is unfolded there are actually two panels with a fold in the middle allowing you to angle it towards the sun for maximum charging. Since it is waterproof I have no qualms about strapping it to the front of my paddle board or back of my kayak. There are also built-in loops around the edges of the panel which make it extremely easy to attach to the back of your pack. Now I bring this with me just about everywhere. 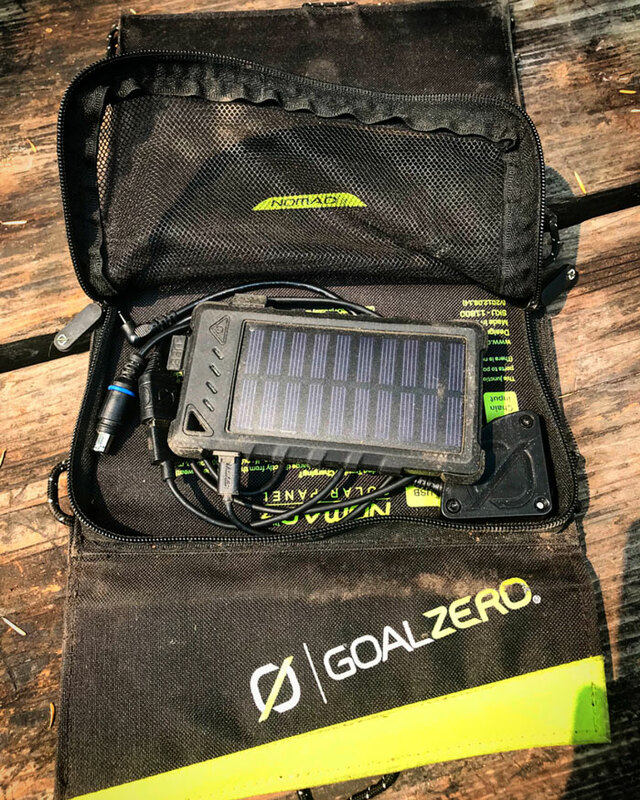 My power bank lives in the mesh bag on this solar panel and I unfold it and strap it to whatever it is I'm doing that day without even thinking about it. It's just become part of my outdoor recreating routine. The day’s activity is 2 hours away? Perfect, throw the panel in the dash of your car and gain some free energy from the sun during your drive. Its uses are endless. Get as creative as you can with this. Drawing, Sketching, and Painting in the Outdoors!